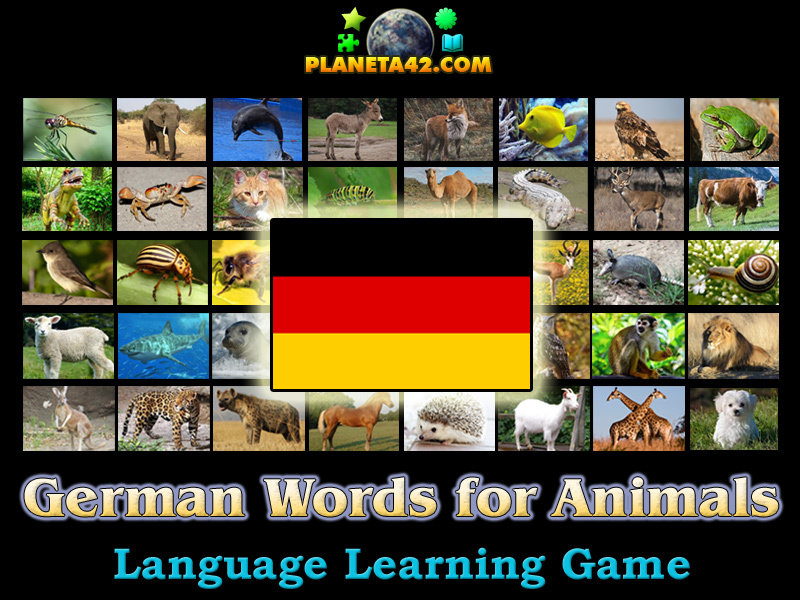 49 German words of animals in a fun online game to learn German. 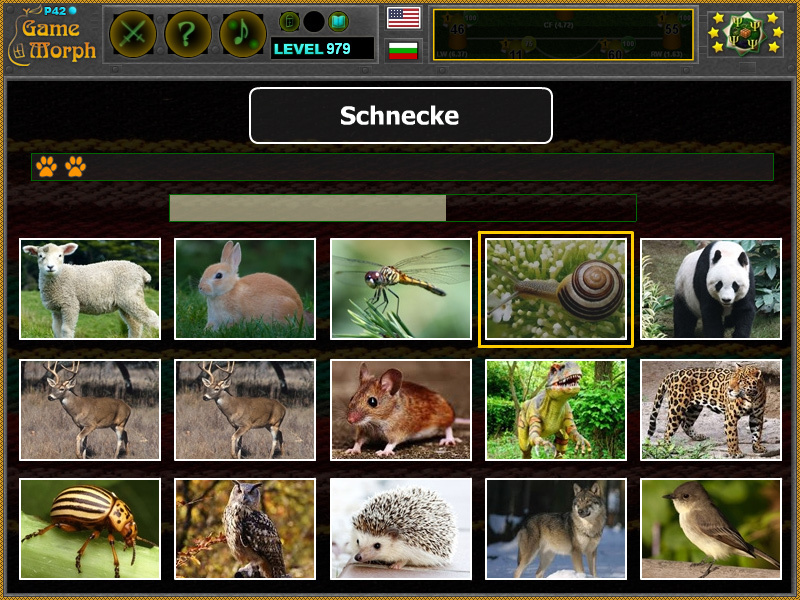 "German Words for Animals" is a free online knowledge level game to test or learn the German words of 49 animals. Read the words and click on the matching image. Help is available after a while. What are the german words for popular animals? How to play German Words for Animals. A random german word will appear on the upper part of the screen in the white lined field. Read the word and click on the matching animal image. Every correct german word will give one "paw" and every wrong click will take one. You need 26 "paws" to win the game. Know 15 animals in German. Class subject: German words of animals. Labels: Games with Words , Mosaic Games , German Learning Games , Language Games , Education Games , Free Online Games.